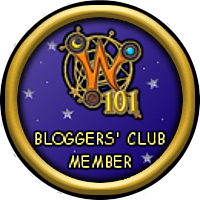 The dragonspyre pirate: A Pirate101 theory on an unanswered question, how did Wyatt Chirp die? A Pirate101 theory on an unanswered question, how did Wyatt Chirp die? So you will know this if you played p101 and played through cool ranch, or rather not know since It never says why. So here's the rundown of why its confusing and what we know. Why its confusing: Wyatt Earp died in real life of old age, however while the game never says how Wyatt Chirp died it wasn't of old age. What we know: There was an accident and supposedly Duck Holliday was to blame. That's the reason the 7 split up due to Billy the Kid arguing with Duck on if he killed him or not. Wyatt was intact and not burned up or died at skyway because they buried the body, Wyatt fought with his fists, and their hideout isn't a secret. So what does this all tell us? Not much to be honest. However knowing KI they like to go on history quite a bit, and in some cases go with history but not completely. So what was Wyatt Earp's toughest and most infamous fight? The fight at the O.K. Corral, where he fought a gang calling themselves the cowboys. In that fight the cowboys were defeated and Wyatt was the only one not hurt. Of course my theory says otherwise. Here is how Chirps death happened. 1. He and the seven went to fight the Wild Bunch at the Old Jailhouse, then just a regular jailhouse in a regular town. 2. Things didn't turn out like they did in history and Wyatt died, the rest of the seven heartbroken and shocked surrendered and left with Wyatt Chirp. 3. They buried him and Billy and Duck argued because Duck failed to take out the person who killed Wyatt. This resulted in the gang splitting up. 4. The wild bunch grow and take over tumbleweed. 5. Our pirate comes and you know the rest. Here's why I think this happened, and all the evidence comes from the game. The quest to end the fight with the gang, not only leads to the now Old Jailhouse, its titled payback, signifying that this is revenge on the people who killed Chirp, and what better way to western movie it than to make it where he died. Some dialogue shows that the Broncos, leaders of the Wild bunch know and possibly had a hand in what happened, here it is, directly from p101 central. This shows that the 7 have been there before, because they at least have a handle of the layout right when we go in, which is unusual. My theory basically says Wyatt died at the Old Jailhouse from one of the Bronco's and our pirate finished the story were it left off. So that's probably how Wyatt died, and how it went down. See you all in the spiral!